The 4th Asian-Pacific City Summit, aimed at promoting common prosperity among cities of Asia and the Pacific which are emerging as the center of global growth, was held from May 13(Saturday) and 14(Sunday), 2000 in Busan City, the first and foremost port city of the Republic of Korea. At the Busan Summit, held under the theme of "Economic Development of Asian-Pacific Cities in the New Millennium," participants had discussions on economic issues of East Asia and the need to strengthen inter-city networks as well as the need to promote economic exchanges and tourism was recognized. Based on the views exchanged and proposals made for the common prosperity of the Asian-Pacific region, delegates from 22 Cities in 11 countries to the 4th Asian-Pacific City Summit hereby adopt the following 5 points as the Busan Declaration. 1. As we enter the new millennium, participating cities shall fully utilize the networks built between them to expand exchanges in various areas and to strengthen cooperation. 2. In order to promote economic cooperation, new areas for exchanges and cooperation shall be actively identified, while opinions of private sector businessmen shall be taken into account to promote trade and investment. 3. Participating cities shall work together toward the promotion of tourism in the region and pursue environment-friendly tourism policies. 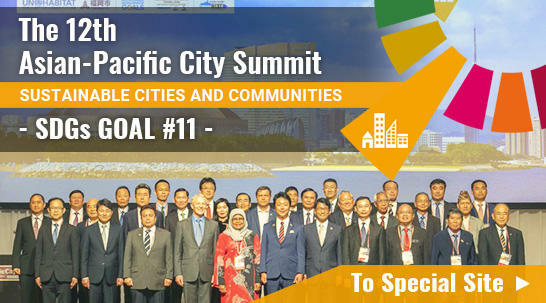 To achieve this goal, they will positively review the possibility of establishing of Tourism Promotion Organization for Asian Pacific Cities under the framework of the Asian-Pacific City Summit. 4. Working level meetings shall continue to take place in order to enhance efficiency and substance of the Asian-Pacific City Summit. 5. The 5th Asian-Pacific City Summit shall be held in 2002 in Fukuoka, Japan and the 4th working level meeting shall be held in 2001 in Busan Metropolitan City.